A sunny start proved not to be at all representative of the day as a whole, with fog and occasional rain quickly setting in before a brisk westerly blew up towards dusk. 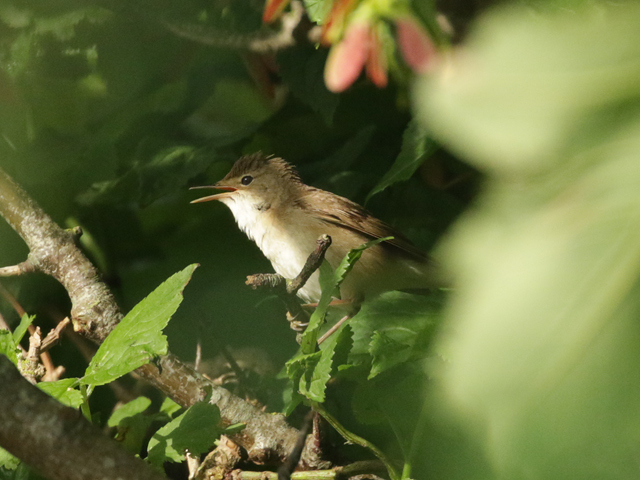 The only worthwhile reports were of a Reed Warbler and a Chiffchaff at the Bill, another Reed Warbler at Portland Castle, 17 Dunlin and a Sanderling at Ferrybridge and 11 Manx Shearwaters, 5 Common Scoter and a Pomarine Skua through off the Bill. 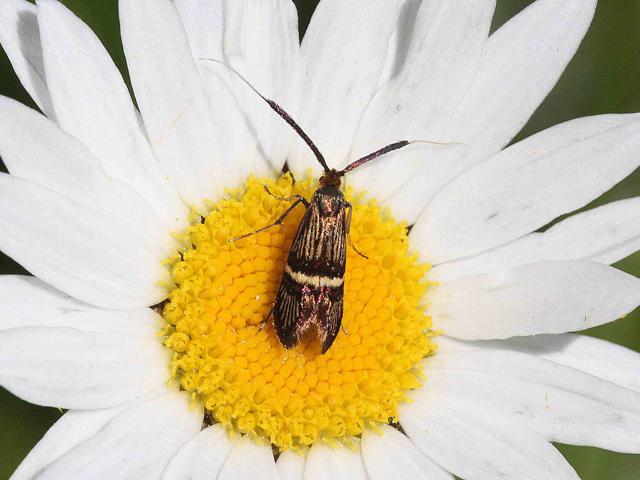 Immigrant moth numbers continued to tick along at a lowish level, with 43 Diamond-back Moth, 7 Small Mottled Willow, 5 Rush Veneer, 4 each of Rusty-dot Pearl and Silver Y, and singles of Hummingbird Hawkmoth and Dark Sword Grass trapped overnight at the Obs. 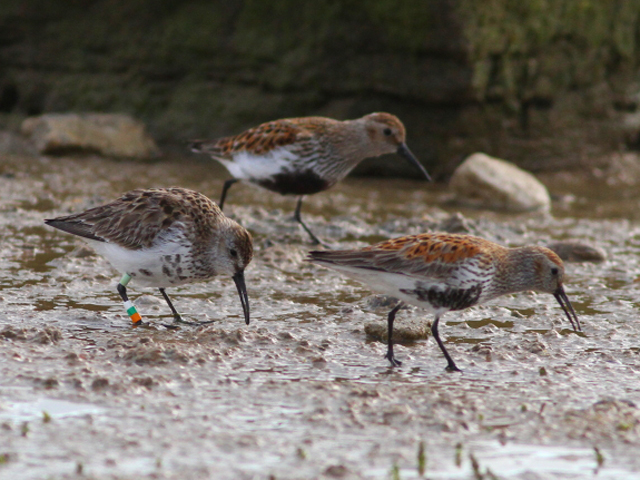 ...Joe's subsequently been informed that the bird was first ringed as a first-winter in Galicia, northwest Spain, in October 2013; it was resighted in the same area throughout the 2013-14 winter but in November 2014 was spotted again at the Banc d'Arguin in Mauritania (...do Dunlin routinely change their wintering areas or is this some sort of age-related feature?). 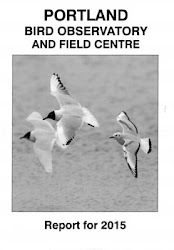 The Ferrybridge sighting - when it was presumably stopping briefly on northbound migration - has been the only subsequent record of it. 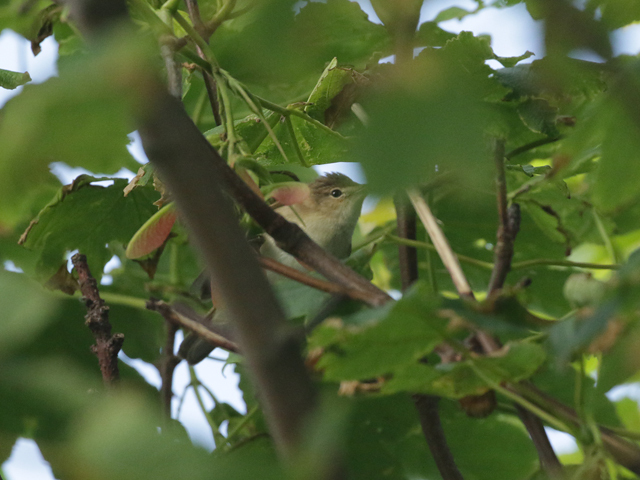 ...as far as we're aware this is only the second record for the island although, in common with other early season day-flyers, we suspect it's likely to have been overlooked by the regular 'birders who also look at bugs' who are too preoccupied with their birding during April and May.